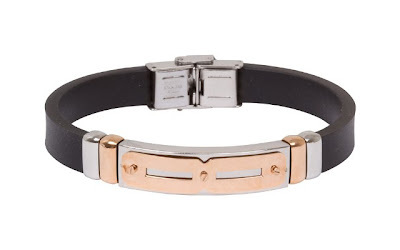 The Heirloom Finds Men's Stainless Steel Black Rubber Bolted Infinity and Rose Gold Plated Bracelet is currently selling for just $19.99 on Amazon.com! You will be saving 67% off the listed price of $59.99 with this men's fashion deal. Infinity jewelry for men is hard to come by. This men's bracelet measures 8" in length and .43" wide.